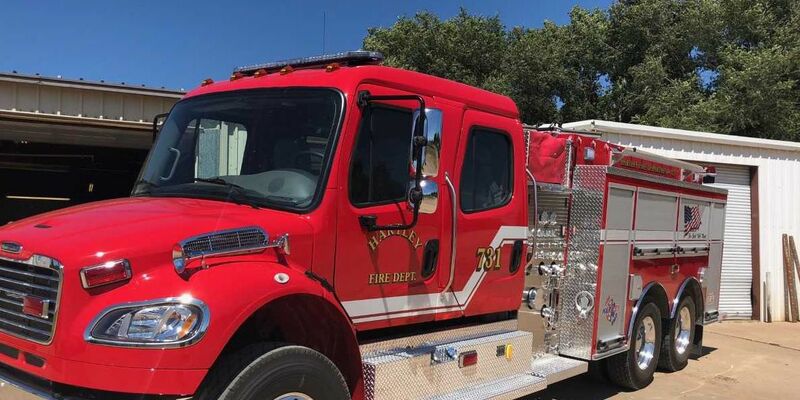 AMARILLO, TX (KFDA) - The Harley Volunteer Fire Department received a $200,000 grant from the Texas A&M Forest Service Rural Volunteer Fire Department Assistance Program. With this grant, the fire department now has a new water tender to be used for emergency response calls and wildfire suppression. The new tender can carry up to five firefighters, includes self-contained breathing apparatus capability in the back seat and a foam injection system. Hartley VFD Fire Chief Scott White says the new tender will be a great asset to the department. “We are very grateful for the generous support of the local businesses that made this purchase possible,” said White. The Hartley VFD has been operating since 1994. Chief White said he’s proud to work with the 18 loyal firefighters and welcomes new recruits. Anyone interested in joining the Hartley VFD can request an application by calling (806) 361-5126.